There is no more quintessentially American music, than the ‘spiritual.’ First sung by enslaved African-Americans four centuries ago, today its influence is heard in everything from rhythm and blues to classical music. There’s a performance this Saturday evening at the Moss Arts Center in Blacksburg that explores the art of the spiritual. Spirituals, also known as 'Sorrow Songs' are quintessential American music. In “Deep River the Art of the Spiritual” “The Post Classical Ensemble” tells the story in song, video and spoken word of how the plantation song become an icon of American culture. For years when Deas sang them, he performed them like modern ‘art songs.’ “ But, I guess when I started working on this project, it occurred to me that, the person who initially sang this melody was a slave who was probably on the plantation and suffering greatly. Deas grew up loving classical music and this program traces the strains of the early spirituals to the 20th century composers who borrowed from and transformed them into a new American classical genre. The early spirituals, known as ‘sorrow songs’ we’re sung by slaves for slaves. The music was more than a work song, it was also covert communication, literally containing messages, and figuratively channeling grief from the depths of people’s souls, helping each other get through. 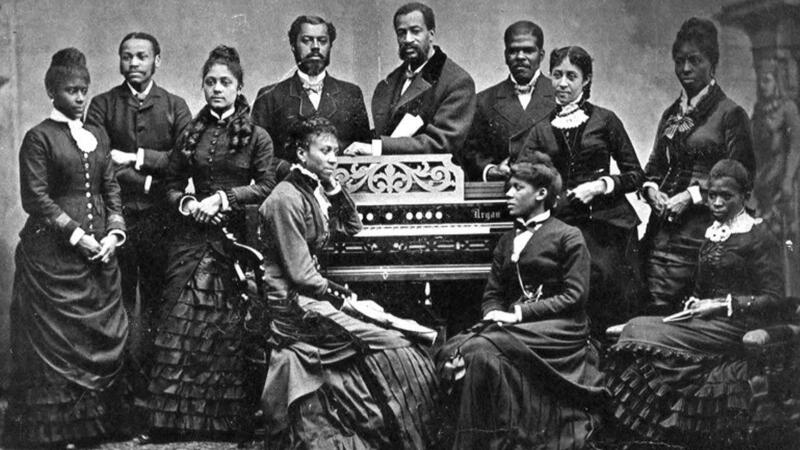 When slavery ended the music morphed, and by the late 1870s people were hearing quite a different rendition of the old spiritual by the Fisk Jubilee Singers. By the end of the 19th century, spirituals became something of a high art in the minds of some and in the concert halls of the Avant Garde. The credit for that goes to an African American singer and composer called Harry Burleigh. 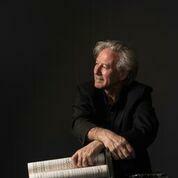 “Harry Burleigh’s most important contribution was to bring those songs to the concert hall to be appreciated,” says Angel Gil-Ordóñez, conductor of the Post Classical Ensemble. “So that this so-called, traditional music, become suddenly, ‘art songs.’"
Burleyigh worked with the Czech composer, Antonín Dvořák, who had a deep appreciation for the music of the ‘New World.' Dvořák saw the beauty and grandeur of the spirituals and borrowed from them in his own work. “And the fact that Dvořák would say to American composers, that this is the roots of your inspiration, this is music of your country, the African American experience, so it’s a fascinating moment of the history of the United States at the end of the 19th century." Harry Burleigh’s composed his own arrangements of spirituals that have become the famous versions we’re familiar with, by world renowned singers like and Marion Anderson, Paul Robeson and Kevin Deas. After Saturday night’s performance of Deep River, The Art of the Spiritual, there will be an audience discussion with the musicians. ***Editors Note: The Moss Arts Center is a financial supporter of Radio IQ.